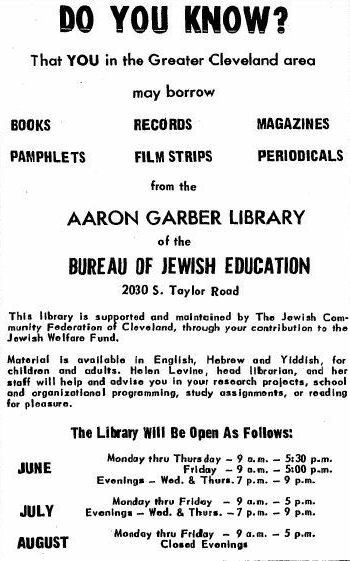 The Aaron Garber Library began as the library of the Bureau of Jewish Education. It was named to honor the memory of Aaron Garber who died in November 1938. In 1993, after an intensive community study, the Bureau of Jewish Education reorganized to become the Jewish Education Center of Cleveland (JECC), its offices remaining at 2030 South Taylor Road. To learn about the change and its intent, read the Cleveland Jewish News stories of September 10, 1993 and September 17, 1993. 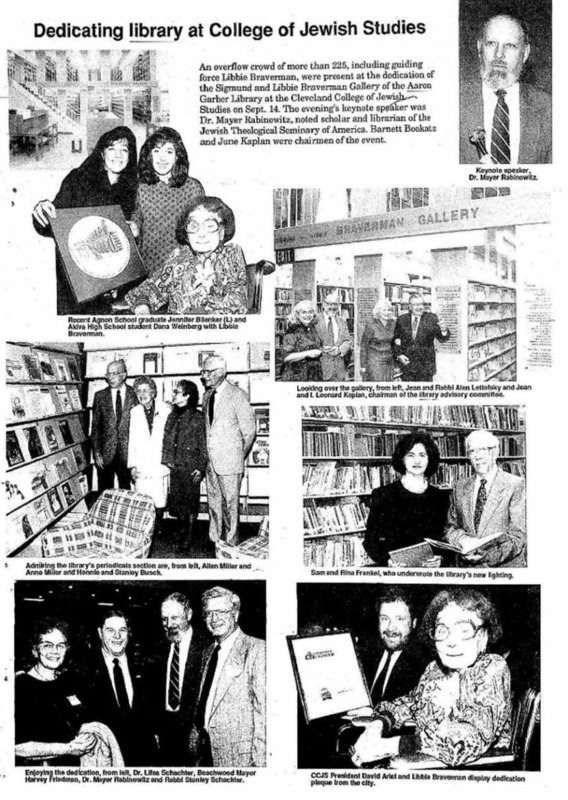 The clippings below are from the Cleveland Plain Dealer and Cleveland Jewish News Digital Archive. 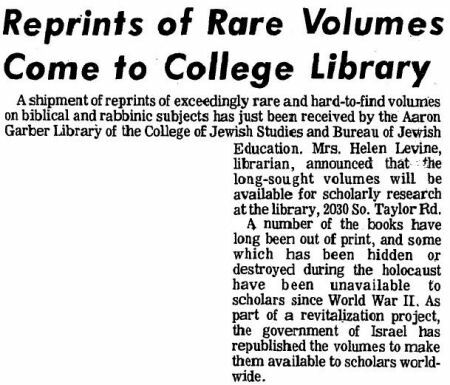 They show how the library grew, moved with the Bureau to South Taylor Road, then moved to the College of Jewish Studies, and continued to expand. The Cleveland Foundation makes a grant of $124,000 to help create a home for the library in the College of Jewish Studies. See Plain Dealer story. The library staff, after identifying and describing the rare and special books in the Aaron Garber Library collection, planned an exhibit on the history of Jewish printing and publishing to highlight some of these special treasures. This front page CJN news story described how this partnership would enhance adult education. A careful reading of its second page reveals the planned closing of Siegal College, with its faculty, for-credit courses, BA and MA degrees. It also notes that the Aaron Garber Library will be under a different Federation agency - the Jewish Education Center of Cleveland (JECC). As this page shows above, this change can be viewed as a child moving home. 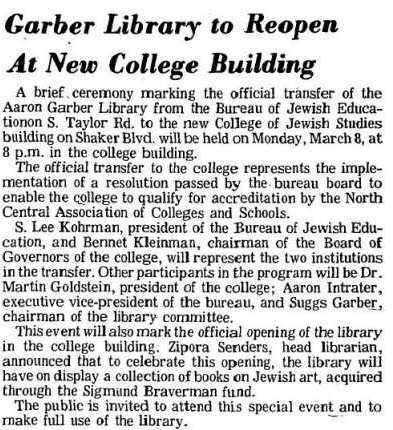 The JECC began in the 1920s as the Bureau of Jewish Education; the Aaron Garber Library began as the Bureau's library. 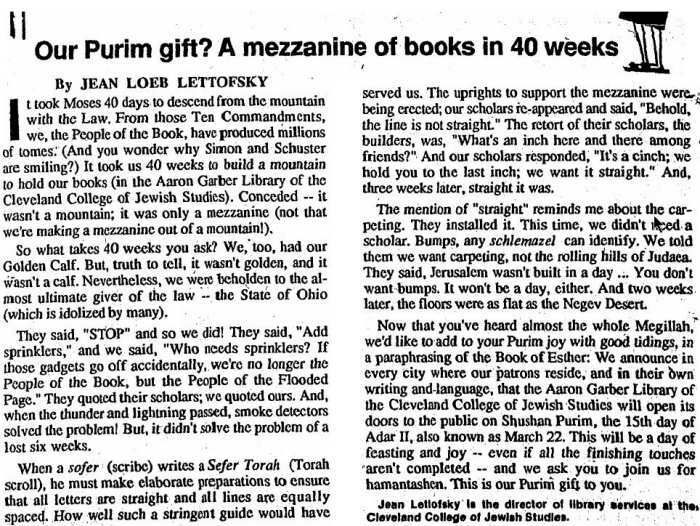 Read the rest of the story in the Cleveland Jewish News Digital Archive. The City of Beachwood Ohio declared June 30, 2013 "Jean Loeb Lettofsky Day". She was lauded for "bringing the library into the modern era by automating the library and forging a relationship with Case Western Reserve University", "using her vast Judaic knowledge to help many scholars and community leaders find information on all aspects of Judaism and religious life", and more. To read the proclamation on the city's website, click here. 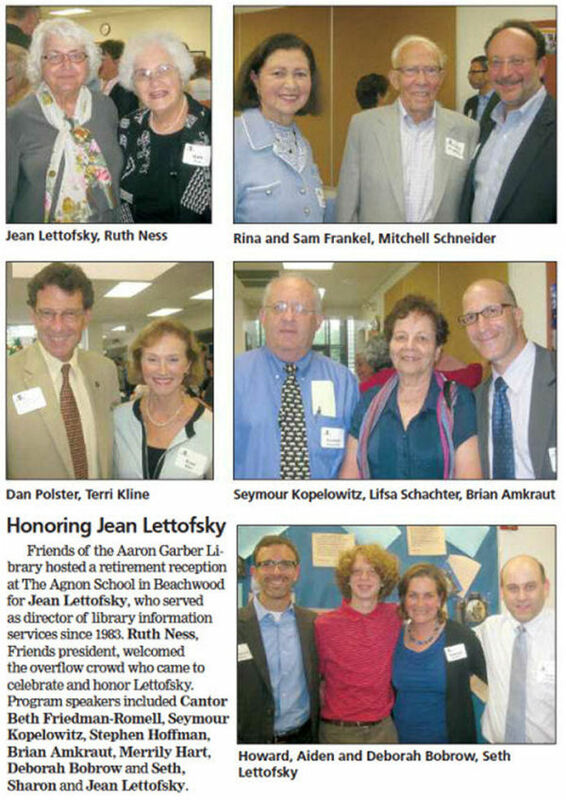 On July 22, 2013 Friends of the Aaron Garber Library celebrated her 30 years of service. The Cleveland Jewish News reported on it in their August 2 issue. The Aaron Garber Library in Beachwood � the central library of the Greater Cleveland Jewish community for nearly 40 years at that location � will close at the end of August, the Jewish Education Center of Cleveland announced Aug. 8. The library was part of the former Laura and Alvin Siegal College of Judaic Studies, now known as the Siegal facility, at 26500 Shaker Blvd. It is adjacent to The Agnon School, and its closing will make way for a new library space for that Jewish community day school and its 340 students. The demand for those academic books ended after Siegal College closed in 2012, Kopelowitz said. Jerry Isaak-Shapiro, head of school of The Agnon School, said he�s excited about the new space for his school�s library. �For a school, a library is an essential space, not only geographically but conceptually,� he said. �A library is more than a repository of books; it�s a representation of learning. Isaak-Shapiro, entering his 12th year as head of The Agnon School, said the school was �outgrowing the space� in its current library, which will be used as a classroom starting this fall. �This (new space) will gave our librarian room to expand the book collection and to conduct larger reading groups and other activities related to library science,� he said. The library first opened in the 1950s and was located at the Bureau of Jewish Education � which later became the JECC � in Cleveland. 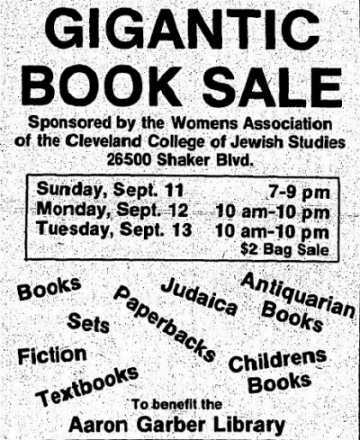 In 1976, the library moved to Shaker Boulevard in Beachwood to be part of Siegal College, then called the Cleveland College of Judaic Studies. The college was renamed the Laura and Alvin Siegal College of Judaic Studies in 2002. Traffic at the library slowed after Case Western Reserve University in Cleveland partnered with Siegal College to create a new adult education initiative, the Laura and Alvin Siegal Lifelong Learning Program at CWRU, in 2012. 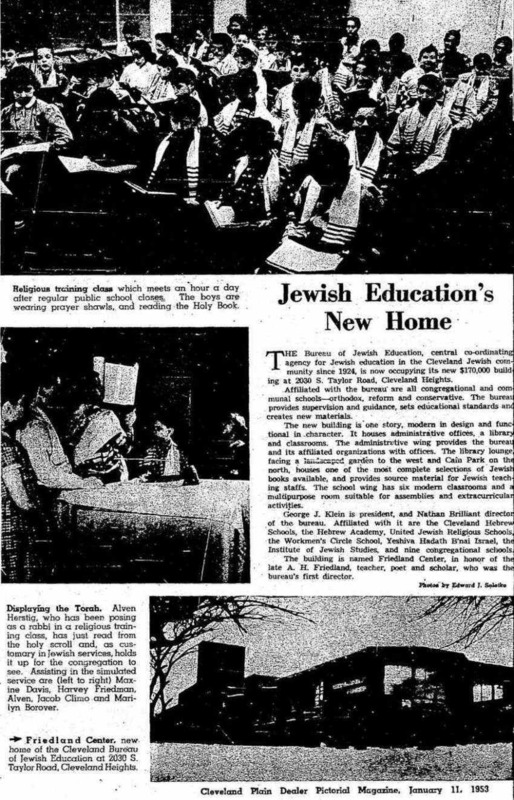 With the closing of Siegal College in Beachwood, the JECC, an agency of the Jewish Federation of Cleveland, became responsible for the library. The university will now acquire a section of the library�s academic collection to support the Siegal program, including its Hebrew and Jewish studies divisions. 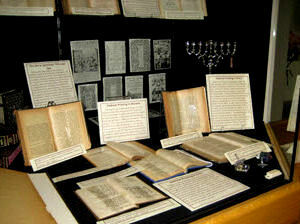 The JECC will acquire the Jewish education collection. 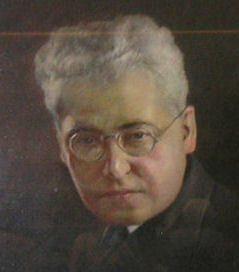 Rebecca Aronson Brickner (read biography), who had been a leader in the creation of the Cleveland College of Jewish Studies, also founded its Womens Association. 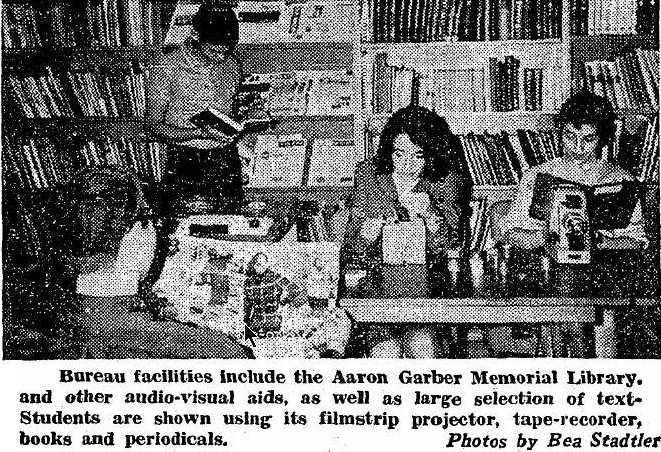 Over the years that group's focus became the library of the college -- the Aaron Garber Library. In May 2015, after much study, the Friends of the Aaron Garber Library voted to remain an active 501c3 non-profit and to commit its resources and energies to the support of Jewish adult education.